One of our favourites here at Zimbolic! 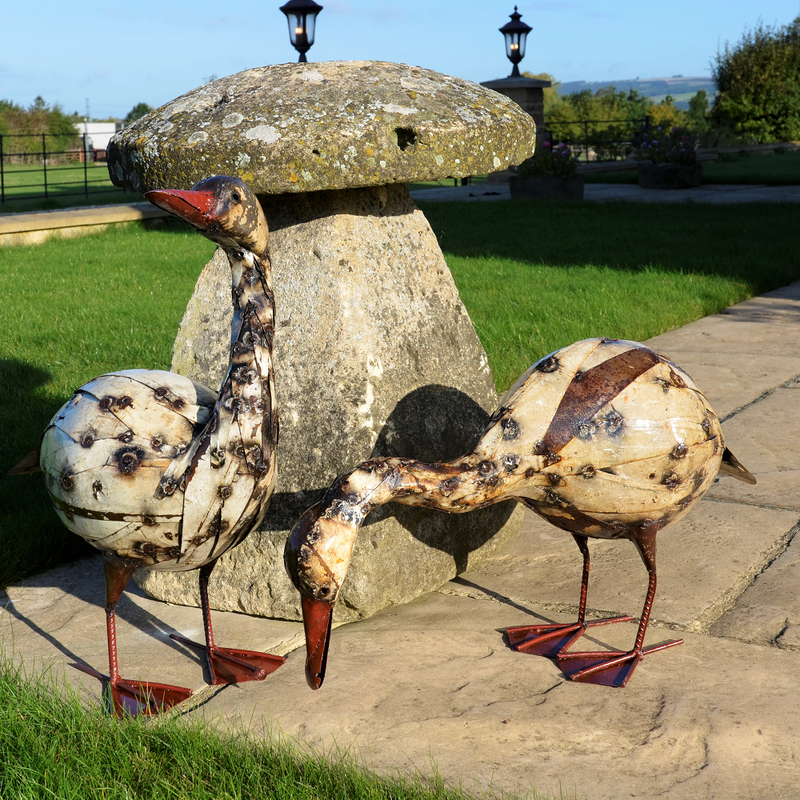 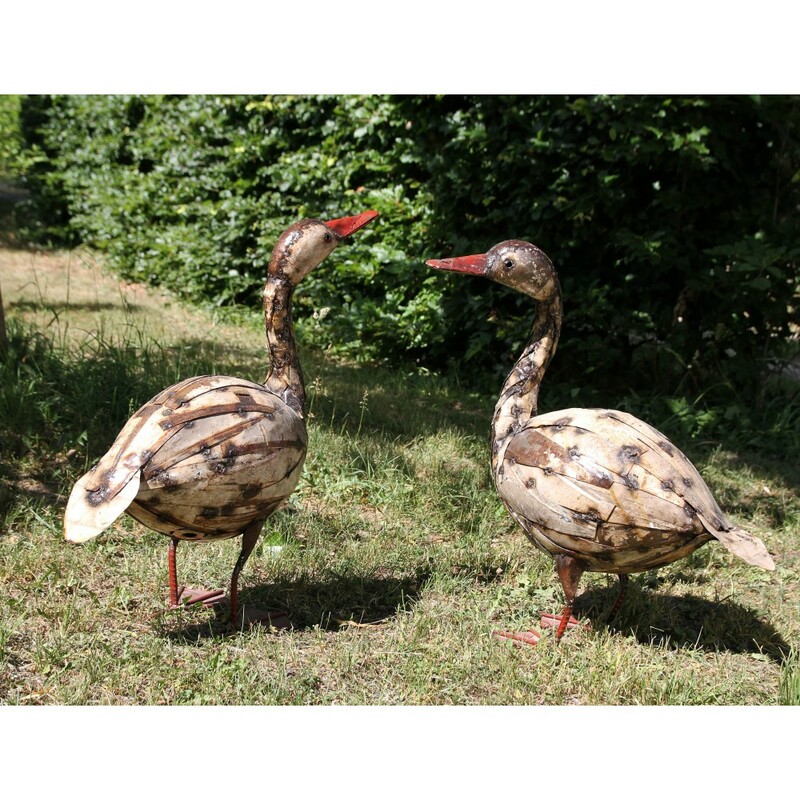 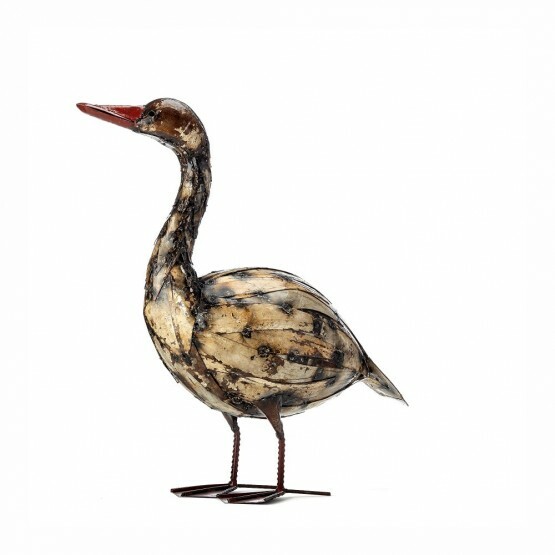 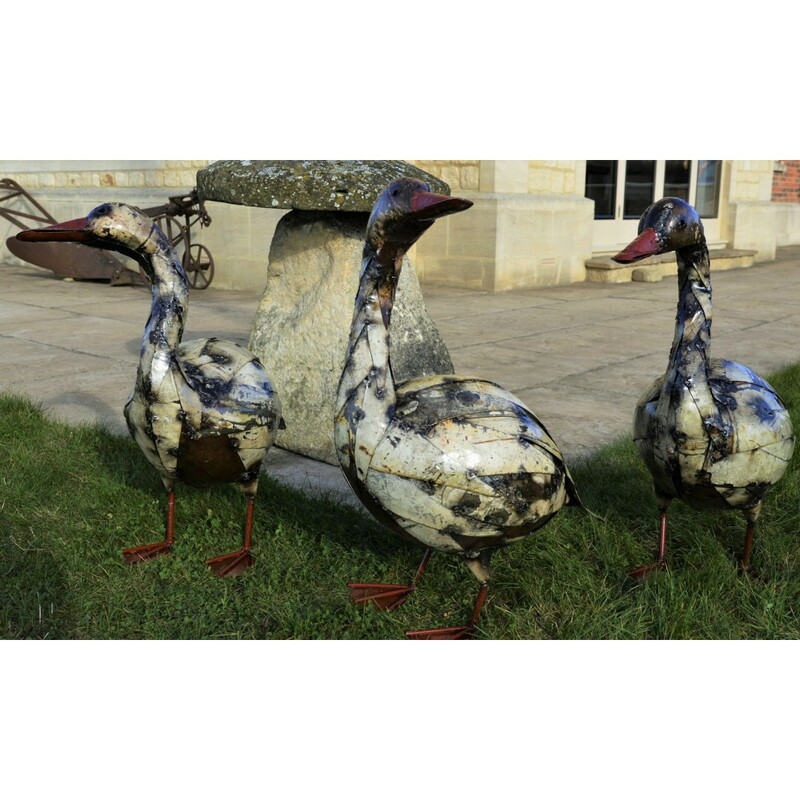 Made using reclaimed panels from fridges and washing machines to create a feathered effect, these beautiful Geese make stunning features for the home and garden. 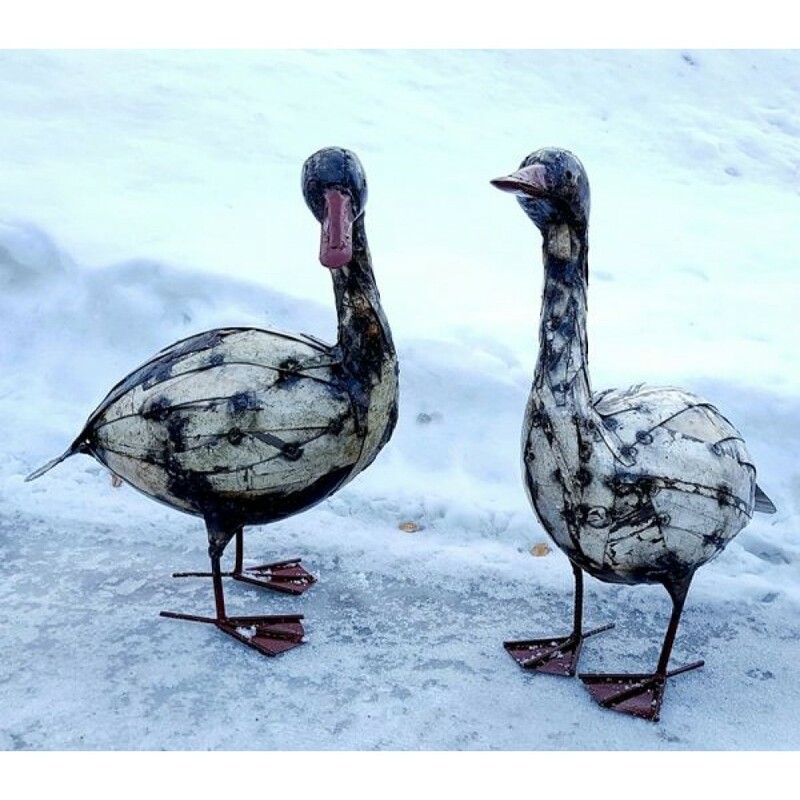 Perfect as a pair.